With the 1x11 speed drivetrain settled in Part 1 of this bike upgrade, the next step is to cut some weight from the Wheelsport Fantasy mini velo. The obvious choice would be to upgrade everything to lighter weight components, but that would need a heavy investment which is not what I want to do. To recap, the objective of this project is to first, create a 1x11 speed drivetrain and second, to make this bike more lightweight. These objectives should be achieved without spending too much money and making radical changes. For a start, the components for the front double drivetrain can be removed as they are no longer necessary for a front single drivetrain. Ultegra 6800 front derailleur can be removed, along with the custom FD mount. Saves 106 grams. Shifter outer casing and inner cable for the front derailleur can also be removed, together with the cable adjust bolt on the frame. Saves 35 grams. Next, it is time to make some modifications to the components to save weight. I had considered changing it from a drop bar setup to a flat handlebar setup, but it would not save much weight. 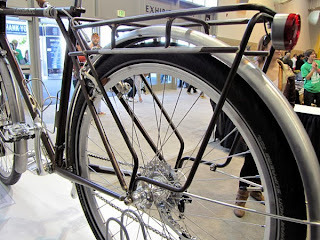 Keeping it as a drop bar setup would make it a 1x11 speed drop bar mini velo that would be more fun and sporty to ride. For the left side road shifter, it is possible to modify it to remove the front shifting mechanism, as there is no front derailleur any more. This takes some experimentation and some special tools, so it is not recommended that you try this yourself. Also for the same reason, I will not go into detail on how the mechanism is removed, as some steps are irreversible, while the warranty is obviously void. For the Ultegra 6800 left side shifter, the original weight is about 209 grams. In this 1x11 speed project, it only needs to function as a left side brake lever, and so the internal shifting mechanism and the release lever can be removed. Modified left side Ultegra shifter shown on the left, original left side shifter on the right. As for the right side, it is still required for shifting and braking functions, and so it cannot be modified. However, it can be upgraded to Dura-Ace 9001 to save weight. In case you are wondering, it can be found just as a single side on Chainreactioncycles.com. Weighs just 186 grams for the Dura-Ace 9001 right side shifter, which is really lightweight. The total weight of these shifters is 350 grams, so it saves a bit over the original pair of Ultegra shifters which weigh 421 grams. Another part of the bike where I can extract some weight savings will be from the seat post. The seat post which is currently on the bike is a pretty lightweight FSA SL-K seat post, at 239 grams for the 400mm length. However, it is actually too long for my usage, as I don't require the seat post to stick out of the seat tube that much. The minimum insert length of this seat post is 100mm, but on this bike, more than 200mm of it is actually inside the seat tube. This means that some of it can actually be cut off to save weight, while still maintaining sufficient minimum insert length to be safe to use. After some measurement, it is found that I can cut off 120mm from this seat post, and still maintain 100mm of insert length for my usage. This might yield quite a bit of weight savings, and best of all, it is free! The difficult part is cutting the carbon seat post safely. After doing it the hard way when cutting the carbon steerer tube spacer previously, I wanted to do it correctly this time. This means using a proper carbon saw and a proper saw guide to cut the carbon seat post, and referring to YouTube for the instructional videos. Saw blade designed for cutting carbon parts. Note the special teeth profile that is different from blades designed to cut metal. A saw guide with a wider slot is needed to guide the carbon saw blade which is wider than usual saw blades. Other than preparing the seat post properly for cutting, safety precautions also should be taken. Use a mask (such as N95) to prevent breathing in the harmful carbon dust, and use a wet cloth to cover the area near the cut to collect any stray carbon dust. What I found after cutting through the carbon seat post was that the edges were actually quite smooth and even, with very little burrs seen. This is excellent as very little post processing is needed to smoothen out the cut area. I was very surprised with the outcome, as the cut edges were in good condition and hardly needed any filing to remove the sharp/rough edges. It was also much easier than using the pipe cutter as I tried previously. This shows that with the right tools and the right technique, it makes cutting a carbon tube much easier and gives better results. Final weight of the 280mm carbon seat post is 206 grams, which is a small 33 grams savings from the original length. Despite cutting 120mm off the seat post, there was only a weight saving of 33 grams, which means that most of the seat post weight is actually in the saddle clamp rather than in the carbon tube. Nevertheless, it is a free upgrade in which I have nothing to lose. 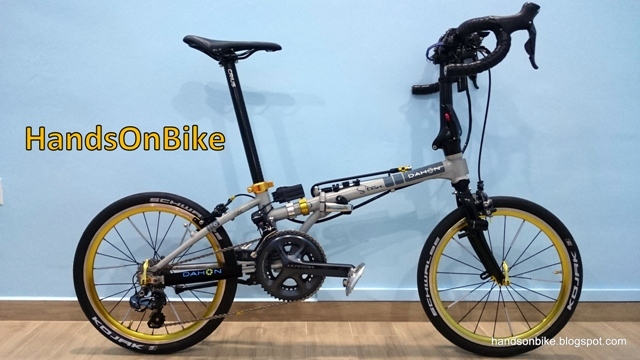 In the next part of this project, the components will be installed onto the Wheelsport Fantasy mini velo, and we will see how lightweight it can be. Hi Steve, I am wondering where did you get the E-ring to replace the one you had to remove to take out the brake lever? According to the Shimano manual, you're supposed to get a new one to place it. Also, where did you get the E-ring tools? I'm trying to build a 1x system too so any instructions would help alot. P.S. Maybe you'd look at the Wolftooth Tanpan to mount a Shadow+ derailleur for your bike. I just used back the same E ring, no problem. You can use a metal ruler to push out the E ring. The road RD works fine as there is no chain drop even without using a Shadow plus rd. Ah. So what parts did you take out from the shifter? Does it allow the right swing to shift motion? Does the brake level still have shifting motion? What parts did you take out, specifically? Basically the shifting mechanism. But it is irreversible, so I don't recommend doing it. Weight savings is not that much either.